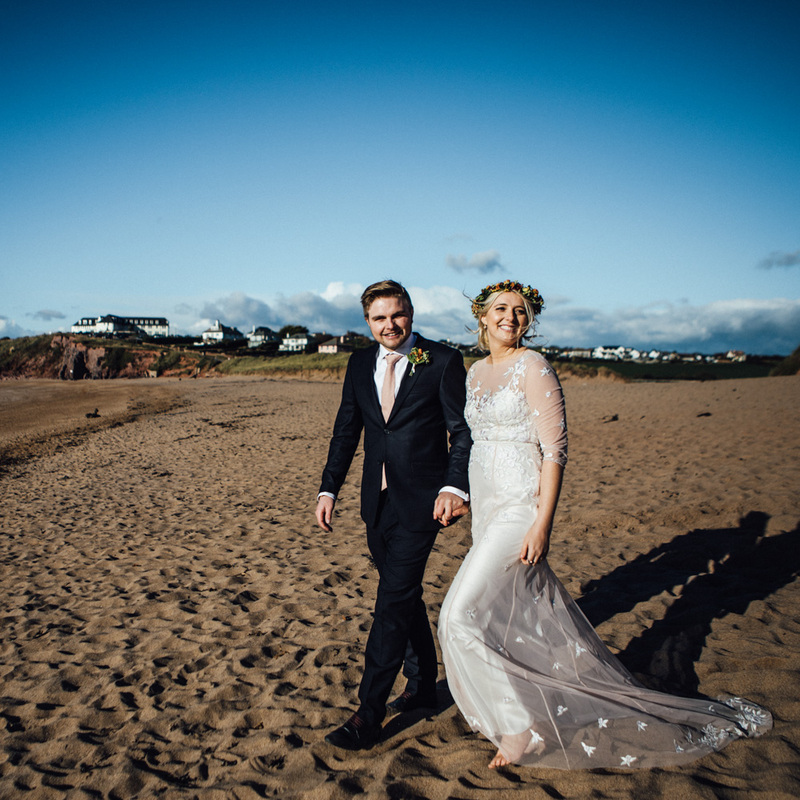 Devon wedding photography: Daisy + Alex’s barn-and-beach wedding in Devon was such a delight, and took place on possibly the sunniest and coldest October day Devon’s ever seen. much fun to go to bed. Check back soon for more sunshine, more adorable babies, more of Pogo the ring-bearer dog, more of Daisy’s spectacularly lovely embroidered dress, more VW vans and more beachy Devon beauty. Plus, a look inside the Barn at South Milton, the sort of barn-by-the-sea wedding venue that bridal dreams are made of.